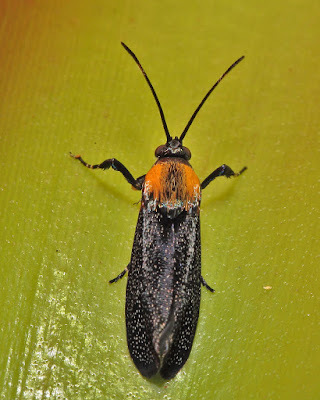 Every year about this time Little Bear Moths streak around the base of our oil palm (no, I did not plant it) around 9.30 am. Their flights are so rapid that they could easily be missed and certainly do not appear to be moths. Individuals dart back and forth and occasionally a "cloud" of a dozen or so moths hovers for a split second, then they are gone. Oil palm with bromeliads at base. 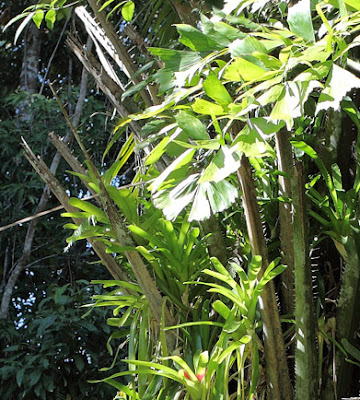 Every so often a supposedly tired individual alights on the bromeliads that adorn the base of the palm allowing a photo if one is careful and lucky. 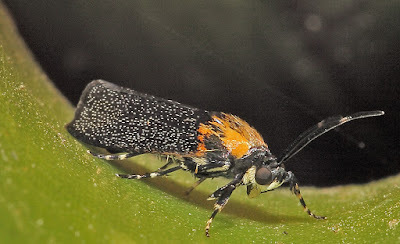 The overall appearance of the moth suggests beetles or flies of the family Bibionidae, most notably Plecia ornaticornis, often associated with Mullerian Mimicry complexes of many insects. The moths are apparently interested in the stumpy bases of old palm fronds. The Brachodidae is a small family related to both Clear-winged moths, Sesiidae, and Sun Moths, Castniidae. About 135 species have been named (Kallies 2004) distributed in all regions except the Nearctic. They are all day-flying but every so often, one turns up on the light sheet. I have seen another species at my place but it was not near the oil palm. The moths are active for a few days, then they are gone. 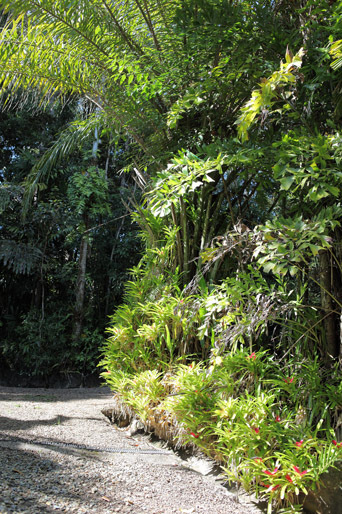 Yesterday we had the sad news that Mrs Cassowary's body had been found on a property not far from our house. We had not seen her for about 3 weeks and have been wondering what has become of her. An autopsy may reveal the cause of her death. This bird was unusually placid and often appeared with the male and with the chicks from time to time. This is the second adult female cassowary to die in this area in the past year. The other female was hit by a car on Black Mtn Road. This leaves the male cassowary, and his sole chick, as the last adult in the area. Cassowaries have been the subject of many entries on this blog. 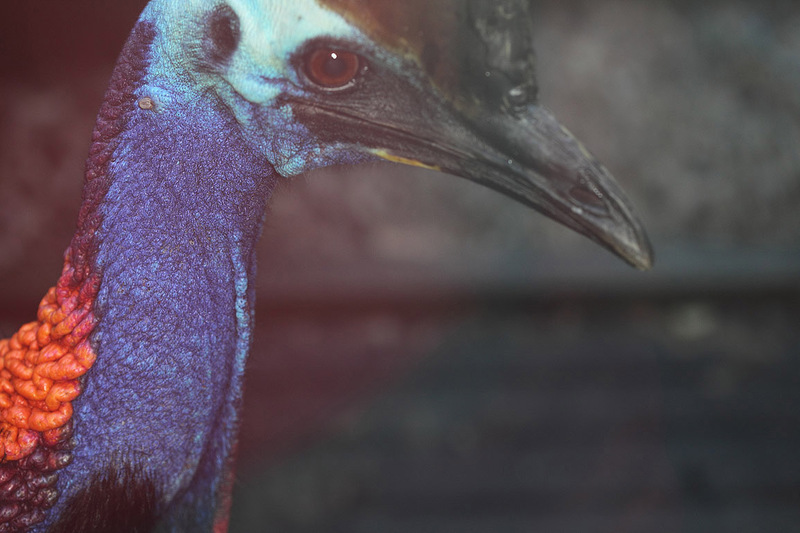 Simply search for "Cassowaries" and you can access all of them. The autopsy reveals that the bird had a perforated bowel and died of blood poisoning. There was nothing in the gut to indicate what cause her malady. At least she was not shot nor attacked by dogs.